If you wish to purchase bus seats for George Ezra in Malahide Castle Dublin instead, click here. 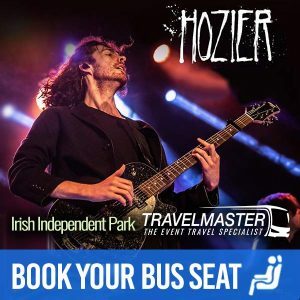 Through TravelMaster, you can purchase tickets for Bus to George Ezra Cork to Irish Independent Park – Cork because Travelmaster provides an easy and smart way to travel to concerts – since seats sell quickly, don’t delay and book today! How do I buy a ticket for a Bus to George Ezra? Sit back and relax on the Bus to George Ezra! Why should you use TravelMaster to travel by Bus to George Ezra?